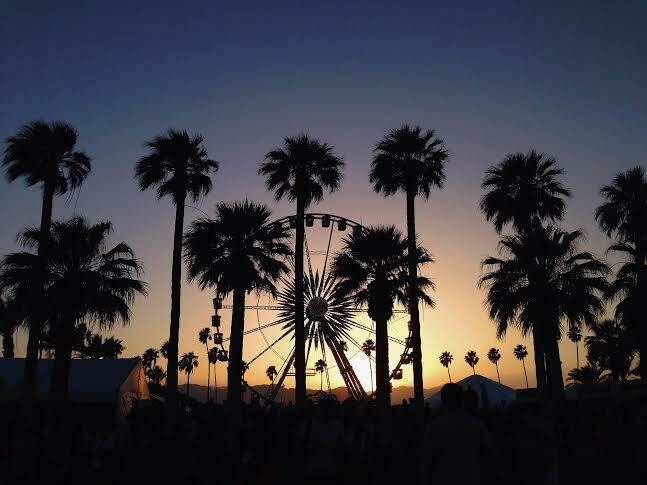 Since last May I had been patiently waiting to attend one of the biggest music festivals of the year, Coachella. If you don’t know what it is: Coachella. Imagine seeing your favorite artists in a desert with your closest friends in 90 degree weather with occasional sandstorms. Sound like fun? There are about 90,000 people who attend each weekend give or take a few and around 170 artists. It’s either a dream come true or a nightmare. I finally experienced the hype that is Coachella. I went in with an open mind but leading up to the weekend I felt very unprepared. I didn’t know what to expect, other than what my friends have said about it/read about it. Let me just say that your experience at Coachella depends on you. Here are a list of things I learned after attending Coachella. Presale tickets go on sale about a month after Coachella has ended. Sometime in May so watch your social media/follow Coachella. Plan to wake up early or no early The problem with presale is it’s a game of luck. You create a Front Gate account, order your ticket and then wait. The waiting process takes a long time because there probably more than 500,000 users trying to buy these tickets at the same time! Sometimes it logs you off and you have to start all over again. It’s a nightmare. However, if you have friends with luck on their side and have already purchased their tickets they can potentially buy yours too. That’s what happened to me. Figure out where you and your friends will be staying a head of time. Don’t do it a month before Coachella. Rooms are expensive and hotels know it is Coachella so they bump up their prices. Use sites like Airbnb or any hotel booking sites. It is up to you and your group of how much you guys want to spend a night. It’s helpful if you have friends who live in California that have a car. It’s cheap (minus the gas) and it’s your/friends’ car. My friends and I rented a minivan. It worked out because we wanted to participate in Carpoolchella. There were 9 of us total. Two drove together and the rest rode in the van. If you rent a van/car there are multiple car rental companies. I suggest adding car insurance to the rental even though there are additional costs. I’m sure you have seen instagram pictures of Coachella. If you have trouble finding what to wear browse any “festival” lookbooks from Urban Outfitters, Free People, Anthropologie etc. Don’t be shocked to see girls wearing only their bathing suits or a crop top with high waisted shorts. ALSO, flower crowns…..need I say more? I never knew how many different variations of flower crowns there are in the world. Personally, I don’t want to see another flower crown in a long time. Wear comfortable footwear. You are walking/standing/dancing all day long. Bring a water bottle. It’s the desert and it’s fricken hot. Bring sunscreen, wear a hat and bring a sweat shirt/sweater for nighttime. 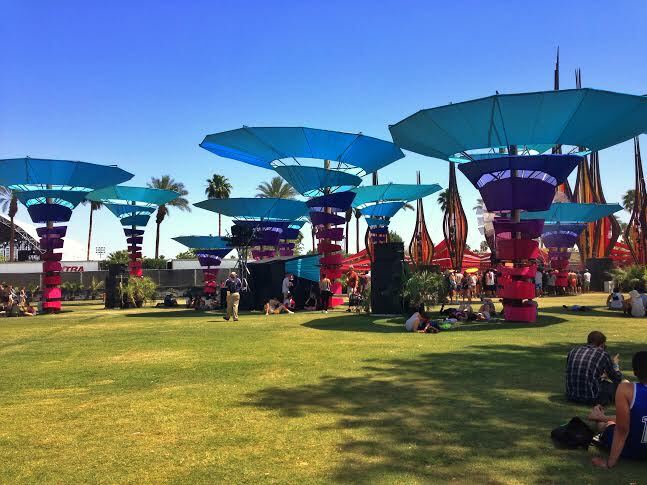 Some Coachella-goers attend the festival for the drugs experience. 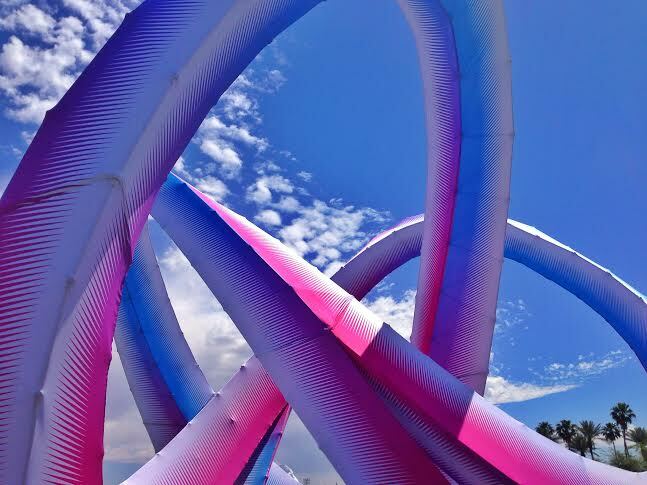 Coachella offers a wide range of entertainment from music to art to light shows that can satisfy their appetites. 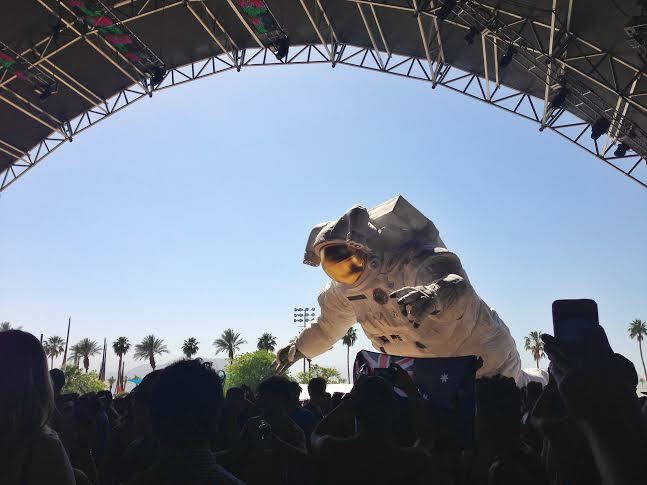 Even if you aren’t on drugs or do drugs Coachella is equally as awesome! Like I said before, your Coachella experience is up to you. Second hand high is real. I don’t know that many short people who enjoy being hit, elbowed, smashed, stepped on, jumped on, or be used as a camera stand. The worst is being stuck in between people’s sweaty backs. I left a lot of crowds to sit in the back. I couldn’t tolerate some of the people around me. My friend’s sister is a beast though. She’s about my height and could tolerate/push her way to the front in some shows. I don’t know how she does it. Also, it’s easy to get lost. If you are using the buddy system going through crowds you are bound to be split up. Usually it’s the shorties who fall behind…apparently we are the weak links? The positive side is us shorties can maneuver through crowds. I remember fighting my way through Outkast and I scared a handful of people because they didn’t see me. Enjoy yourself! There is barely any cell reception so digital detox yourself from social media. Take pictures of everything so you have memories even though it’ll make you sad later on. There are so many people at Coachella that you can be free! You can walk around by yourself and no one will really notice you. That isn’t to say you should walk around by yourself but if you get split up from your group because of artists just make sure you guys have a meeting place. There were multiple times when my friends and I were separated but eventually found each other. Dance as much as you want! Sing as loud as you want! You can even sit wherever you want. Sit down in a middle of a walkway, no worries they will walk around you. 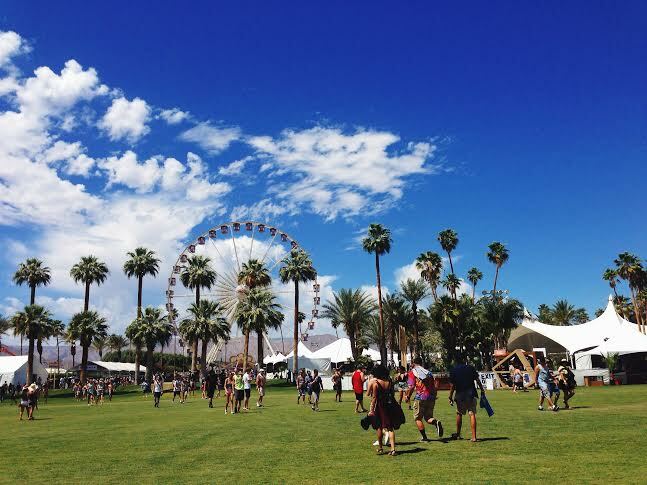 Coachella is a music festival that is difficult to define. When I was there everything seemed like a blur. You don’t get a lot of sleep during the three days and you’re not eating a lot of food but hopefully drinking a lot of water. It’s such a rush. 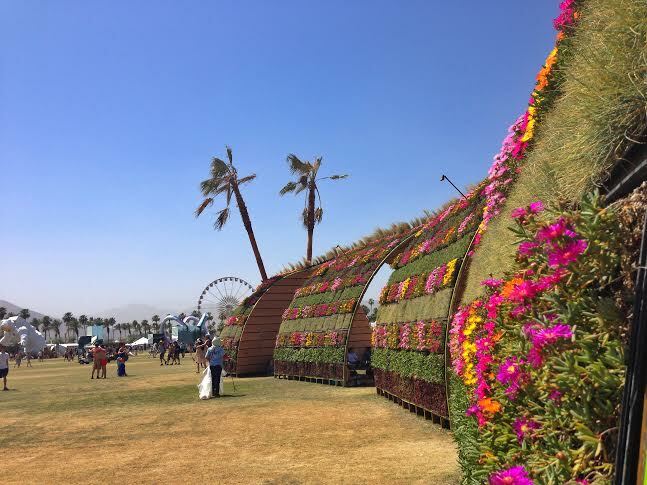 Whatever opinions you have about Coachella are probably true whether you are a hater or a lover. Good thing about Coachella is that it doesn’t care. I believe there is a mixture of haters and lovers at Coachella and the haters actually love it they just are trying hard not to. And if you’re hating and never gone…well maybe you should go. 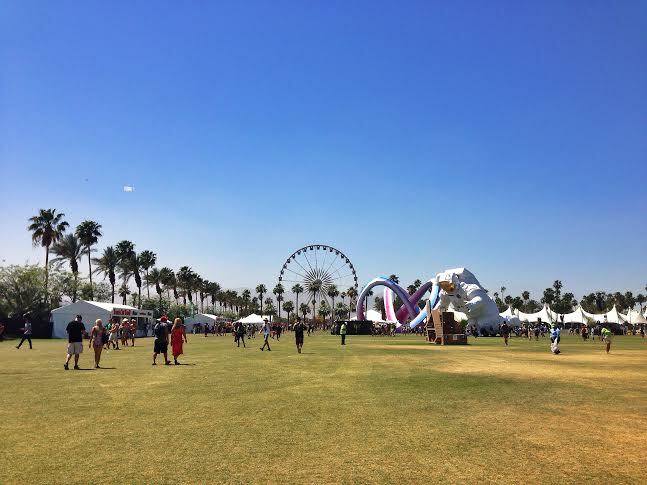 Going to Coachella is like attending a giant private party. When you’re in the desert with fellow Coachellites it’s only you and the other 90,000. Outsiders are not welcome. If you don’t have a wristband you better hope someone is selling one or you have a ride back to your hotel because you can’t get in, security is pretty strict. I love concerts but I never saw myself as a festival-goer until now. It’s an indescribable experience. I’m trying my best to explain my observations but everyone’s will be different. I just loved the feel of “hanging out.” I am one of those people who can just sit in the sun, people watch, listen to music, just hang out and be perfectly happy. Post Coachella Depression is real. I miss my friends. I miss feeling free. I miss the music and the weather. It’s nice to get off the grid once in a while. I can’t wait to go next year. Hope to see you there!